Vigorous passion: French cellist Henri Demarquette. 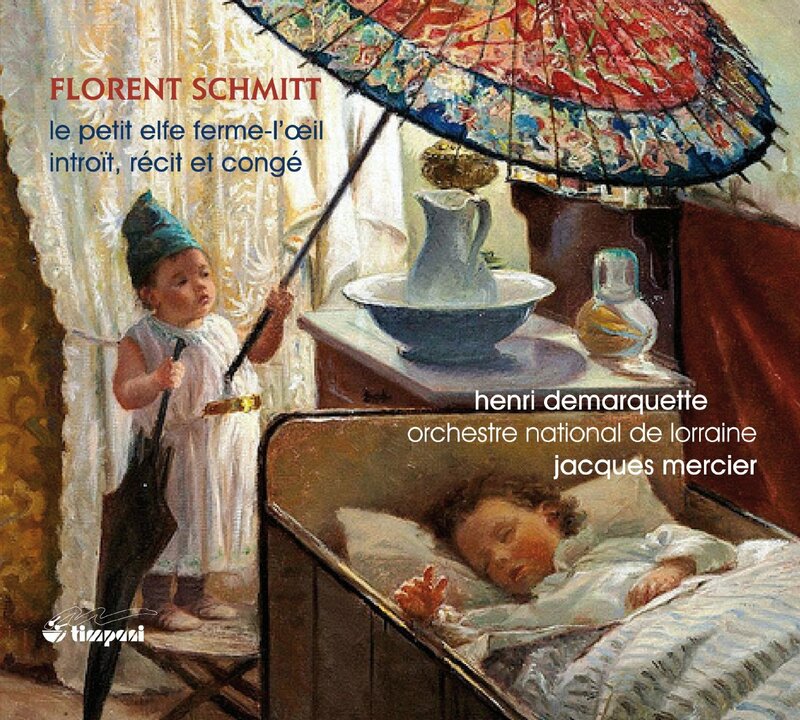 The recent release of the premiere recording of Florent Schmitt’s Introït, récit et congé, Op. 113, has given lovers of French music and cello music in general the opportunity to hear an interesting and inventive concertante piece that was composed in 1948 for the French cellist André Navarra. Fortunately, this premiere recording (on the Timpani label) features an equally impressive cellist, Henri Demarquette, ably supported by the forces of the Orchestre National de Lorraine conducted by Jacques Mercier. First recording: Henri Demarquette, with Jacques Mercier and the Orchestre National de Lorraine (2013). One could not hope for a better interpreter of Schmitt’s powerful score than Mr. Demarquette, who has made a name for himself performing both standard and rare cello repertoire with orchestras in Europe and elsewhere. He has also teamed up with musicians such as Jaime Laredo, Michel Dalberto, Louis Lortie, Boris Berezovsky and the late Brigitte Engerer in chamber music performances across the globe. I published a post on the Introït when the premiere recording was released in February 2014, and it is now available to hear on YouTube. More recently, I asked Mr. Demarquette to share his views about the piece – and his thoughts on the music of Florent Schmitt in general. 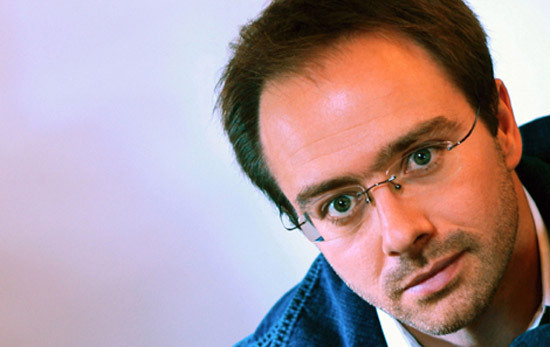 PLN: How did you become acquainted with the composer Florent Schmitt and his Introït, récit et congé? HD: I became acquainted with Florent Schmitt through a series of lectures I gave last year on the life and work of Maurice Ravel. During my research, I discovered how important Schmitt and his music was in the early period of the 20th Century – and also that Ravel was a great admirer of Schmitt and his talent. Specifically as for the Introït, I am grateful to Stéphane Topakian, the inventive and courageous founder and director of the Timpani recording label, for introducing me to this music. In fact, for many years now he has helped me discover and record much unexplored repertoire for the cello, including works by Jean Cras, Louis Vierne, Maurice Emmanuel and Guy Ropartz in addition to Florent Schmitt. PLN: What are your impressions of Florent Schmitt and his music – what attributes do you feel are particularly noteworthy? HD: Florent Schmitt was a man of passionate temperament. I can feel tremendous tension in his music. It’s characterized by total mastery in the writing, and it’s open towards modernity, too. He definitely pushes the instrumental limits! In the Introït, for instance, Schmitt’s writing demands great skill on the part of the cellist. The music includes a high cello range, rapid passages, challenging rhythms, double stops and so forth. 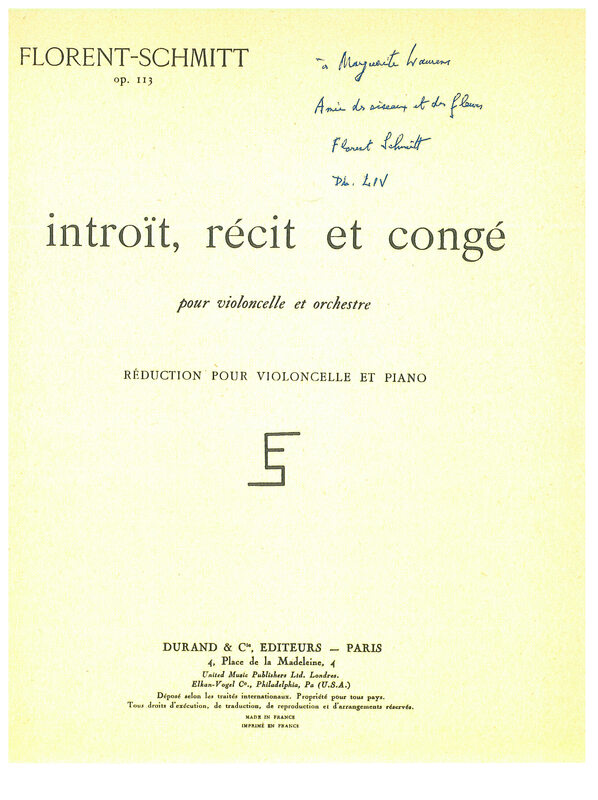 Florent Schmitt’s piano-reduction score to Introit, recit et congé, inscribed by the composer. PLN: In listening to your recording of the Introït, I get the feeling that you really believe in this music. What aspects of the score do you find particularly interesting and inventive? HD: I especially like the affiliation with Ravel that I can sense in the orchestration. I’m struck at how brilliant and dazzling the orchestra sounds – along with certain very dark passages that are very “modern.” Schmitt also has real melodic inspiration in this music. He composes very long phrases, which is quite unusual in French music. PLN: Before you were introduced to the Introït, did you know any other music of Florent Schmitt? HD: I had read through the Piano Quintet, but had never performed it. I wish to do that piece soon. It requires a great amount of practice and rehearsal; it’s a huge work for the pianist in particular, who has to read on four staves sometimes! Dating from 40 years earlier than the Introït, it is a composition definitely worthy of attention. PLN: You have been quite active in resurrecting rare cello concertante works by French composers of the 20th century. How did this interest develop? HD: Yes, this is a particular passion of mine! For one thing, I have the relationship with Stéphane Topakian and Timpani. The Timpani label is undertaking very important and virtuous work, and I am so happy to be participating in it. Through this relationship, I have discovered so many important works of music. My very first recording with Timpani was doing Louis Vierne’s Quintet in about 1995, so the association has been going on for nearly two decades now. I’m quite sure that the Introït, récit et congé will arouse the interest of other cellists. Another favorite work I’ve recorded with Timpani is the Légende by Jean Cras, which I have performed a good number of times in concert. I hope to have the same chance with the Introït. I also hope to perform Jacques Ibert’s Concerto for Cello and Winds, which is another excellent piece that would be perfect for concert programs. PLN: You have had a very active recording and concertizing career for many years now. Briefly describe your musical background and activities. HD: I’ve been fortunate to have a very rich musical life, which began quite early. I attended the Paris Conservatoire and was able to study with masters like Maurice Gendron, Pierre Fournier and Paul Tortelier. I have been able to play the great cello concerto repertoire with orchestras, as well as perform chamber music with well-known musicians. But I am always keen to open my eyes and mind to other music, too. I am very involved with contemporary music, and in sparking interest in new works for the cello. I work with many composers in those endeavors; soon I will premiere three pieces that I commissioned for cello and choir composed by Eric Tanguy, Patrick Burgan and Alexandre Gasparov. Those commissions are part of a very large and exciting project known as Vocello. I will also be premiering a new cello concerto written for me by Michel Legrand. I don’t teach, but I am responsible for the music syllabus in the project Université Populaire in Caen, France, led by the French philosopher Michel Onfray. I also play a good deal of tango music with a fantastic ensemble, the Quinteto el Después, including working with Richard Galliano, one of the greatest accordionists in the world. PLN: What other recital, concerto or recording projects are you working on at the moment? HD: I concertize regularly in the European countries as well as in South America, Japan and Korea. Most recently I have been performing the cello concertos of Lalo and Saint-Saëns, and I will be touring Japan and Korea performing the Dvořák Cello Concerto as well as doing chamber music performances with Jaime Laredo and Boris Berezovsky. My most recent recording was of music by Philippe Gaubert, and my next recording due for release is the Ibert Concerto for Cello and Wind Instruments. Considering Mr. Demarquette’s noteworthy accomplishments and highly interesting concert repertoire, we can only hope that he will add North America to his touring schedule before long. In the meantime … if you’re interested in hearing Mr. Demarquette playing music outside the “standard classical” repertoire, here’s a YouTube clip of him performing Jalousie with accordionist Richard Galliano and the Quinteto el Después, in a live performance in Buenos Aires — certainly an authentic locale for tango music! Update (2/25/15): This landmark recording received the prestigious Diapason d’Or Award for best orchestral recording of 2014. At the time of the awards ceremony, Henri Demarquette spoke on camera about the music of Florent Schmitt. His insightful comments can be viewed here. This entry was posted in Classical Music, Composers, French Composers and tagged Boris Berezovsky, Brigitte Engerer, Cello Music, Chamber Music, Classical Music, Diapason d'Or Award, Florent Schmitt, French Composers, Henri Demarquette, Introit recit et conge, Jaime Laredo, Jean Cras, Maurice Gendron, Maurice Ravel, Michel Legrand, Michel Onfrey, Nones, Paul Tortelier, Pierre Fournier, Quinteto el Despues, Richard Galliano, Schmitt, Timpani, Vocello. Bookmark the permalink. « “Pure Music Masterpiece”: Florent Schmitt’s Sonate libre for Violin and Piano (1918-19). Thank you for the informative interview. A query for Mr. Demarquette: I see that you are a proponent of the music of Jean Cras and Guy Ropartz. Are you familiar with the Cras Cello Sonata and the Ropartz Adagio for Cello & Orchestra? I think both are worthy pieces that seem to have been neglected.